VSGVU Merlijn is the super 'gezellige' study association History of the Vrije Universiteit. Apart from the many parties, activities and borrels, there is also a heavy focus on study related activities. Think of movie nights, foreign trips, trips within the Netherlands and readings. No matter how you want to spend your studying time, you can come to us! 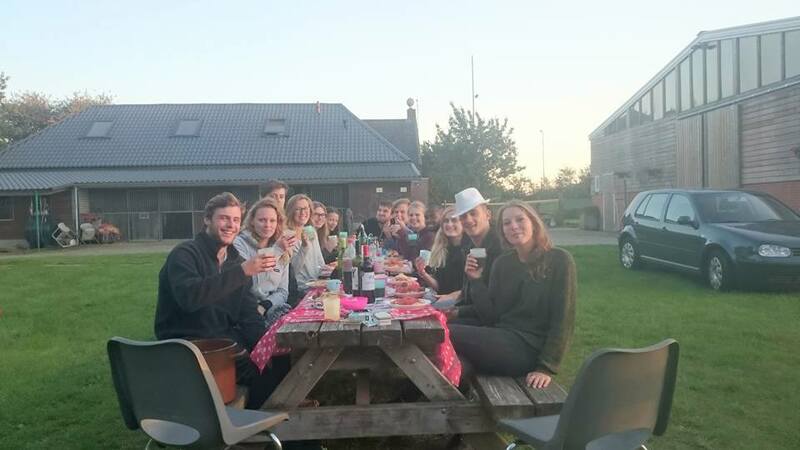 Below you can find a list of activities which Merlijn has organised in the past and will continue to organise in the future. Photo: Group photo on top of Arthur's Seat in Edinburgh, Scotland..
Photo: Toasting at Café Genootschap der Geneugten, Amsterdam.